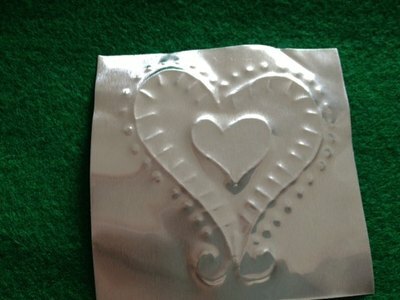 Metal embossing is a traditional craft form, made by creating an impression on metal sheets. You only need a few items to get you going and then you can make anything from decorated boxes to greeting cards. 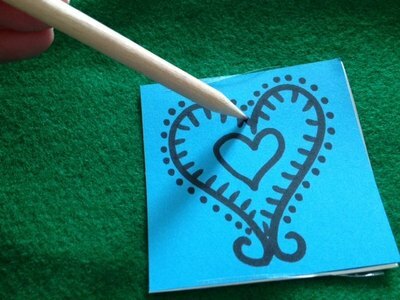 Draw a pattern on a piece of paper with a thick marker. Cut a piece of aluminium to the same size of the paper. 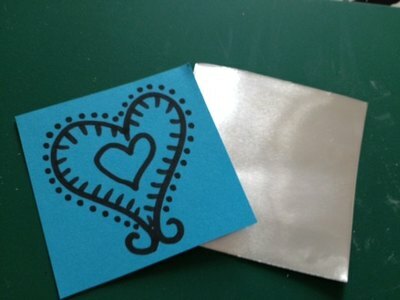 Tape the paper design on top of the aluminium to stop it slipping while you make your impressions. 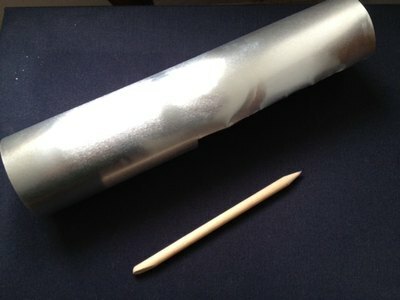 Place your paper and aluminium on a doubled over piece of felt. 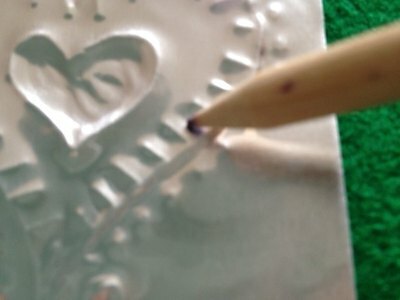 Using the pointed end of the embossing tool or chopstick, trace over your design, pressing firmly. Remove the paper template to reveal your pattern below. 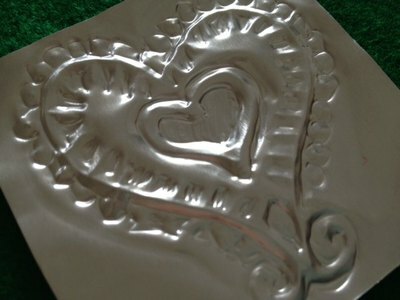 Turn over the aluminium and you will see the pattern in relief on the other side. 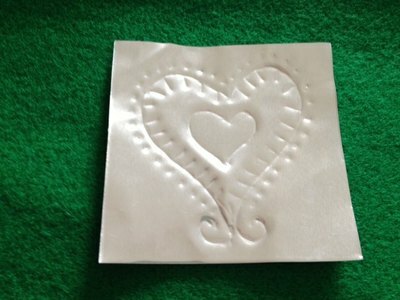 Use your embossing tool or chopstick to push around the raised pattern which will make it more defined. You could also experiment by making more impressions that will face the opposite direction or use a permanent marker to add some colour to your design. 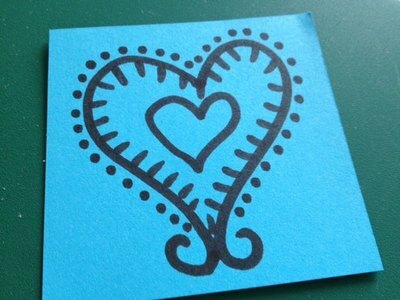 You could stick your design on a card and make a unique and personal wedding invitation.